As we told you on Friday, BlackBerry has an interesting handset in the BlackBerry Passport. With a 1440 x 1440 resolution on a screen under 5 inches, we are talking about a rather meaty pixel density, surely the highest ever seen on a BlackBerry phone. On Saturday, a ton of leaks about the model were tweeted out by someone who obviously snatched up an advanced unit of the handset. Even if you are sure that you will never leave your current platform, you need to keep track at what BlackBerry is doing here. Even if you have made a pledge never to leave iOS, Android or Windows Phone, stranger things have happened. Think back to the fall of 2009 when a unique number named the Motorola DROID was introduced as an exclusive for Verizon. For all of 2009, Android held a 3.9% share of the smartphone pie, up from .5% in 2008. The number one OS at the time? Symbian. The point is that wheels turn, and as the incomparable Bobby D. once sang, "the loser now will be later to win." This is not to say that the Passport will single-handedly revolutionize the smartphone business. We are just pointing out that it has happened before. Everything was in the right place for the DROID to make waves. The Palm Pre didn't catch on as it was expected to do, Google gave Motorola Android 2.0 to include on the phone, and Verizon customers were looking for a touchscreen smartphone of their own, with all of the features that iPhone users were enjoying on AT&T. Take a look at some new pictures of the BlackBerry Passport, including a video showing how the phone handles a YouTube video, by clicking the slideshow below. This thing is gorgeous! I mean yeah it's quite weird especially the square display, but I'm so interested to see how that keyboard works and the design looks so nice/premium! I have never had a BB (I don't think they have ever even been on market in Finland), but I hope they could bring their future devices here! Imagine using this extremely wide weird phone and putting it on your ear to make a phone call. Sorry BlackBerry... This one is so hideous, and it looks thick as well. Looks absolutely fine to me.. Guess difference of opinion is allowed. And same is true for BlackBerry they are not following what every other company is doing. They are just doing what makes different from everyone else. People probably once said the same thing when the OG Galaxy Note came out, and look how popular the Note series is now? Weird is all perspective. What's weird to you, Johnnokia, is gorgeous to someone else. I think this phone looks great! It's different from the "me too" look that has become so pervasive among Androids, iPhones and Windows Phones. I have to agree with meanestgenius, people did say the same thing about the Galaxy Note. I remember when I bought the first Galaxy Note right after it released and everyone I knew thought it was so large and too unwieldy to use but I loved it. Also, people say all the time about how it must look to talk on the phone but the reality is that for the most part people use their devices for text messaging and data usage. We have to remember that Blackberry for the most part tailors to business and corporate consumers which primarily use their devices for checking emails and typing messages. This device looks like it would feel comfortable for typing long messages and for looking at documents. You have to remember the function being brought here in offering a wide device. It will give a more comfortable typing experience which is what this phone is trying to highlight. By the way, it's only 1 mm wider than the Note 3. 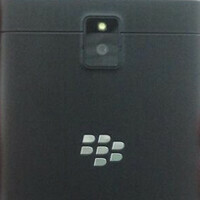 For BB10,SD 600 will run it quite well - not as demanding as Android. Agree, BB10 runs very smooth on dual core as compared to quad-core on Android phones, first hand experience Nexus 4. So 801 is fine but 800 too old? Nice... Cause there's a huge difference. it is but weird is what will attract people and make heads turn. Couldn't agree more best looking phone of 2014. You forgot to say, "IMO". Too bossy, Optimus Vu reincarnated. Is it wider than a Note 3 or other phablets? I don't think so. Just shorter, which is why some may think it's so weird or strange looking. This is a Qwablet not a phablet. The more I see this phone, the more I love it! If anything, this phone will be sure to turn heads, as people will at least want to know what it is. From there, once people see what it can do, they will surely love it. I can't wait for this phone to be released! Haters and trolls, do what you do best. I know you're all just itching to comment, like a fiend waiting for their next hit. Be warned, however, I will be here waiting with a proper rebuttal. Success or flop you have to give Blackberry credit for trying something different. I might give BB another try especially with the addition of Amazon apps. the KEY is the PRICE. If bb priced this more than US$300, it will surely be a flop. I think the sweet spot for this product is U$ 250.At $250, bb could sell 700K/month of this device. Nobody cares for your opinion, troll. Go elsewhere. That being said, a device of this magnitude(specs, features)will be priced at a premium, and deservedly so. John Chen is also very good at getting devices to the markets that will by them. You only need to look at the Z3 to see this. This device will go to the European markets first, and then perhaps the UAE and Canada. It will go to the U.S. if picked up by Verizon and/or AT&T.